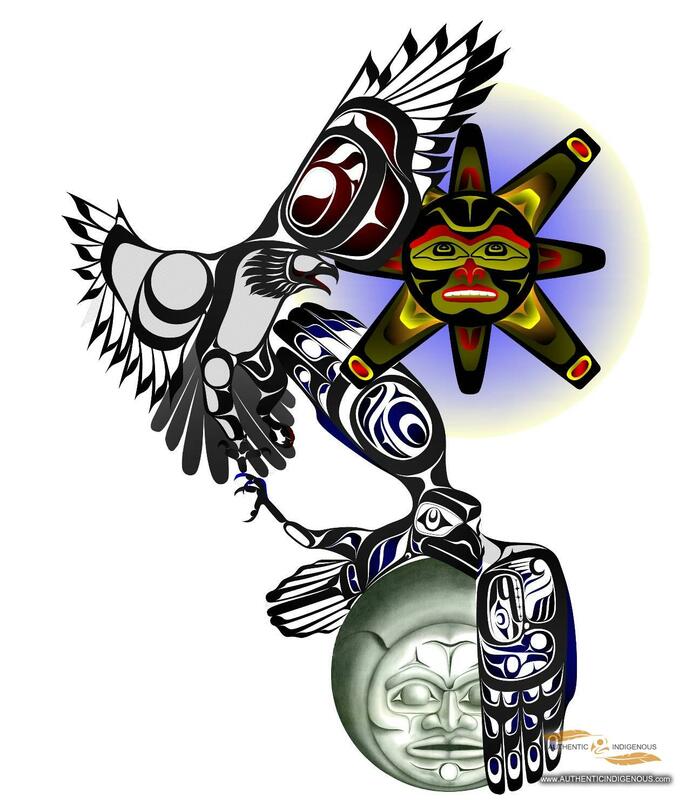 Description : Stand alone tattoo design, hummingbird and bear. 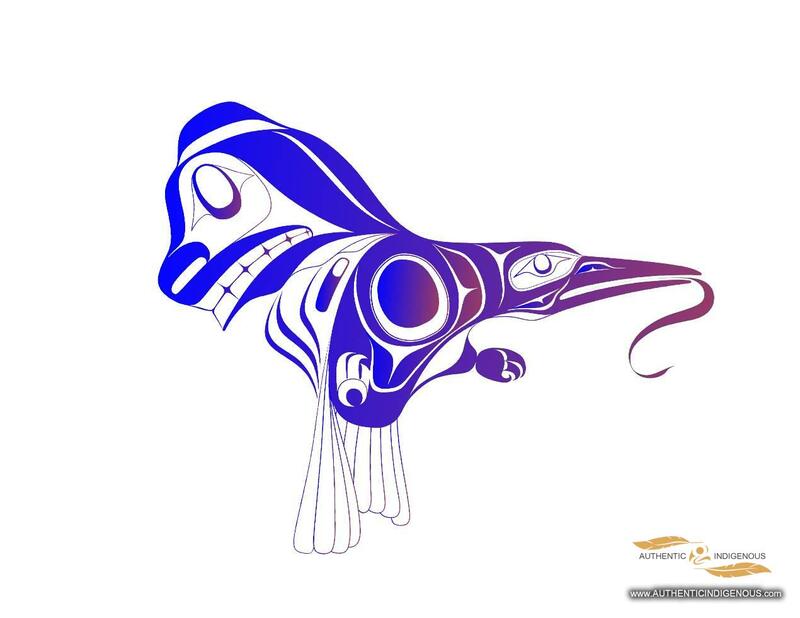 Description : The design is based off of an old Haida legend 'Raven Stealing the Light'. The figures are eagle, sun, raven and moon.